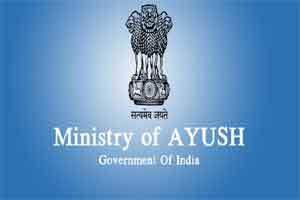 Indore: The Ayush Ministry plans to set up five more All India Institutes of Ayurveda after the one in New Delhi, Union Minister Shripad Yesso Naik said. After establishing the All India Institute of Ayurveda (AIIA) in New Delhi, the Ministry plans to set up five more such institutes in different cities, he said. “We have demanded fund from the government to set up AIIAs in five more cities,” the Minister of State for Ayush told reporters on the sidelines of an event here. However, the cities where the AIIAs would come up have not been identified yet. Naik said the Narendra Modi government had been popularising traditional Indian treatment systems for which the Ayush Ministry has been formed. Naik said he has asked the Madhya Pradesh government to send a detailed proposal to his ministry for opening up a yoga and naturopathy centre in Bhopal.